The CUE special feature on the defending ACC Champ. 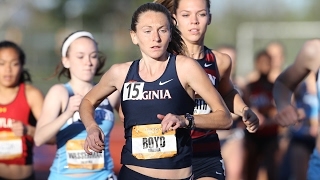 Highlights of the Cavaliers' standout performers in the 2016 ACC Indoor Championships. Evan Chiplock takes us through his approach to the water hazard during the steeplechase. Peyton Chaney and Jordan Lavender discuss the art of the block start. Highlights from Day 1 of the Virginia Challenge. Come out to the Virginia Challenge on April 17 and 18 right here at Lannigan Field! Learn the intricacies of the pole vault and high jump in this edition of Wahoo 101. The Chasing Uncompromised Excellence feature on track and field athlete Jordan Lavender. Cross Country - NCAA Regionals at Panorama Farms Both the men's (2nd place) and women's (1st place) programs qualify automatically for NCAAs as the Cavaliers host NCAA regionals at their home course.